China has retained a second place on the 2015 Hurun Global Rich List, despite the growing number of billionaires. India got bronze, passing the UK and Russia. 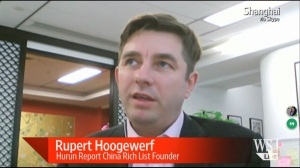 Hurun founder Rupert Hoogewerf: “Tech has been leading the way again for new billionaires. It’s all eyes on the new economy,” according to the Independent. The number of billionaires in the world has surpassed 2000 for the first time, with at least 67 countries now home to at least one person valued at more than $1,000,000,000. According to the 2015 Hurun Global Rich List, India has for the first time overtaken Britain and Russia in terms of the number of billionaires living in its borders. Just 40 of the people on the list are under 40 years old. Among them, Facebook’s Mark Zuckerberg has broken into the top 10 for the first time with an estimated wealth of $44 billion. Are you looking for more experts on the luxury industry? Check out this list.